So this is the movie that was based on "true story" of paranormal investigator, Ed and Lorraine Warren, when they investigate the case of Perron Family. Many people said that this movie is good and it is rated R because it's scary. No sexual scene, no explicit language, no violence, it received its rating based on scary alone. Hmm.. Isn't that interesting? That's why I watch this movie with a question in mind. Is it going to be able to frightened me? Honestly, The Conjuring is not that spooky. It didn't manage to frightened me. But well, even The Exorcist and Ju On didn't manage to scare me. Maybe it's because I don't afraid of ghost (even though perhaps a little bit terrified by demons). This movie play on tension, just like the classic horror movie. It plays on your fear to the unknown and the unseen. Unfortunately it suffers from its similarity to other ghost-haunting-a-house movie like The Exorcist. Things flying? Door slams by itself? Dripping noise? Pictures falls? Yeah. Pretty much like that. No wonder I'm not really terrified. I've already see too many similar scenes in horror movies. But aside from that, this movie is very good. The first half of the movie is rather slow to explain many things and made you give attention to the characters. It also help to build the tension in the later half of the movie where all the hell broke loose. The acting is superb. All the actors are convincing. 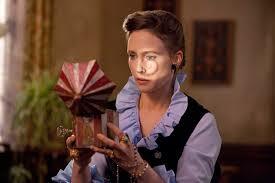 I really love Vera Farmiga and Patrick Wilson here. The execution of the movie is good. It balance the horror and the drama element.You could sympathize to Ed and Lorraine Warren, and also to the Perron family. 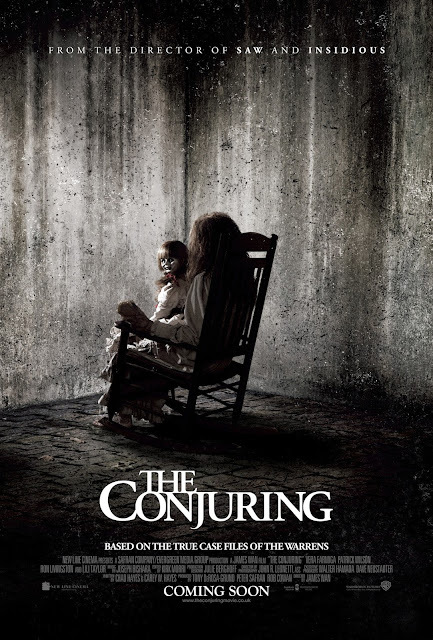 It's been a while for me to finally watch a decent horror movie so overall I'm pleased with The Conjuring. I recommended you to watch this movie. It's worth your time.